Before the could escape, they both were knocked out of their transformation jutsus and out of the smoke by some kind of blast. Flying through the air Fu crash landed into the ground bouncing a few times while Danzo managed to catch onto a tree using his chakra to slow himself down and flip onto it. Fu never regained his footing after hitting the ground and was therefore caught by the Naruto's chakra claw. But Danzo saw it coming and easily jumped to the side evading the claw and landing onto the ground. Now he was back in his regular state with his clothes burnt a bit from the explosion. Whether the two Konoha nin's knew who he was was unknown because he was always in his under ground affairs, but he knew who they were. Fu got smashed into the ground and was now incapable of doing anything. Simply moving one strand of his bandages, Danzo reveal his sharingan to be used. "Isn't it obvious" Danzo replied to Shikamaru's question. "Someone with an intelligence as renowned as yours should already know the answer to that." When he revealed his sharingan, everyone was probably looking to see what he was doing. Once they looked at his eye they were susceptible to his genjutsu, but he only cased the genjutsu on the Naruto clone in the one-tailed state. The clone's vision would go blurry for a while, but once his vision was normal again, he would see that instead of Danzo and Fu being in front of him, it was a Samurai and the one within his grasp was Shikamaru. If the clone turned to look over to where Shikamaru was suppose to be, he would see Danzo standing there and all the other clones would be seen as random enemy shinobi. The point of his vision going to blurry was to make it look like he got something in his eye, and when he regained his vision he messed up his allies with his opponents and was now surrounded. The clones first reaction would probably be to release Shikamaru(Fu) for aid and begin attacking Danzo(Shikamaru) as well as the random enemy shinobis(naruto clones). If all worked out, then Danzo and Fu would start escaping again, ready to easily kill any clones that struck. Only 1 of the assailants had been caught, while the other - the old man - was still free, and now in his true form. (I don't recognize either of these men... but the redhead is wearing a Konoha headguard.) the Nara thought to himself. 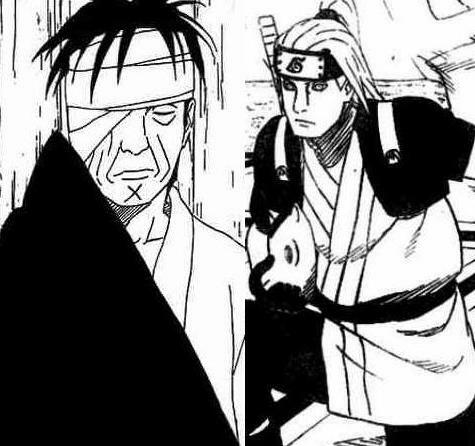 However, the old man seemed to know who Shikamaru was, making a comment about his intelligence. The elder then brought a hand up to his bandages and revealed what was hidden underneath. "A Sharingan...!?" Shikamaru muttered when Danzo exposed his hidden eye. "Kage nui no jutsu...!" Shikamaru said as he slapped his hands together and formed the Rat and then Bird handseals. His shadow came to life as it rose from the ground and shot towards Danzo. On its way, it split and divided into multiple tendrils reaching for the old man. 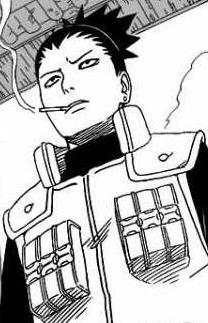 If he got a hold of him, Shikamaru would wrap Danzo up and restrict any further movement. If the old man eluded the shadows, hopefully it would create an opening for Naruto to get him. In any case, the shadow threads would chase him relentlessly, like hungry snakes. The real Naruto had been following from the shadow's all along, staying at of sight from the enemy but making sure he saw what was going on. As he watched from and stayed hidden Naruto swiftly made his way behind the enemy so if they tried escaping he would intercept them. The one tailed Naruto clone managed to capture Fu, but Danzo was quicker than his subordinate and managed to move out of the massive chakra hands way. Smashing Fu onto the ground, right as Danzo landed onto the ground after dodging the Naruto clones first attack the second one was already on its way. 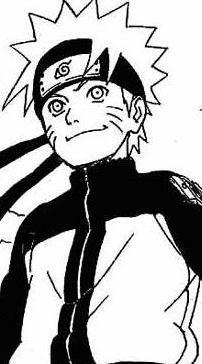 Using the same chakra arm that missed him previously, Naruto would swing the massive claw backwards. The claw was larger than Danzo's entire body thus the back hand would smash into him from head to toe. Whether Danzo got hit by it and collided into the tree behind him or managed to evade it, it would make it easier for Shikamaru to capture Danzo since he was being distracted by the Naruto clone. Meanwhile all the other Naruto clones kept their ring formation around the enemy to make sure they wouldnt escape as well.